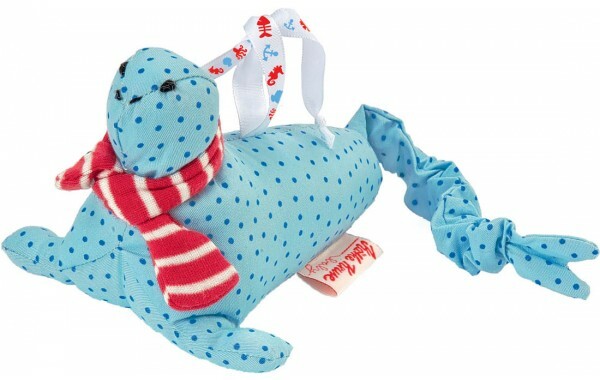 The blue-gray seal is fun for the eyes and fingers when you pull its tail and it shakes and wobbles back to position. 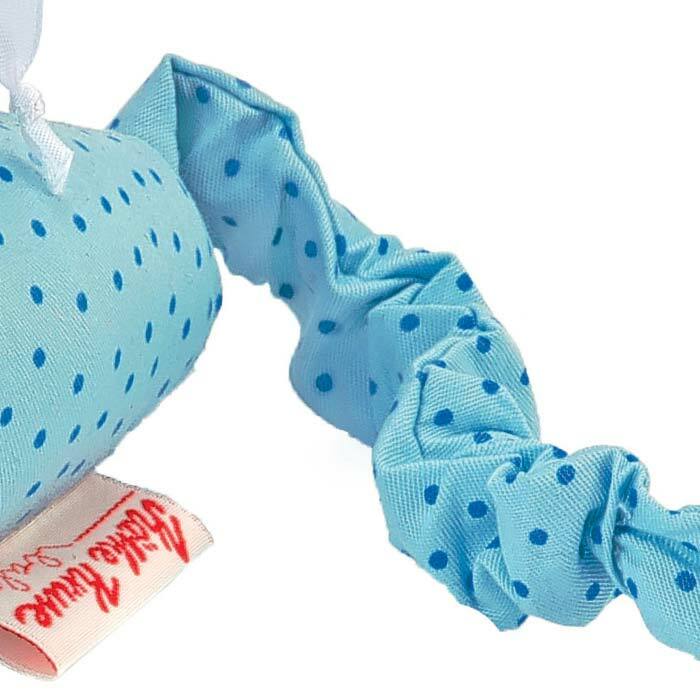 Constructed with cotton fabric and stuffed with fiberfill. 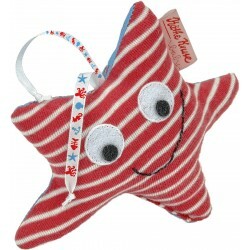 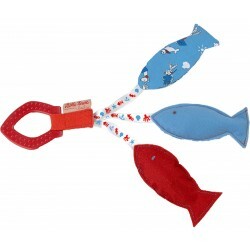 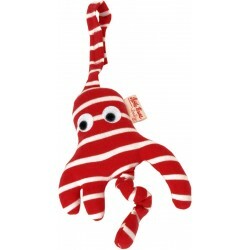 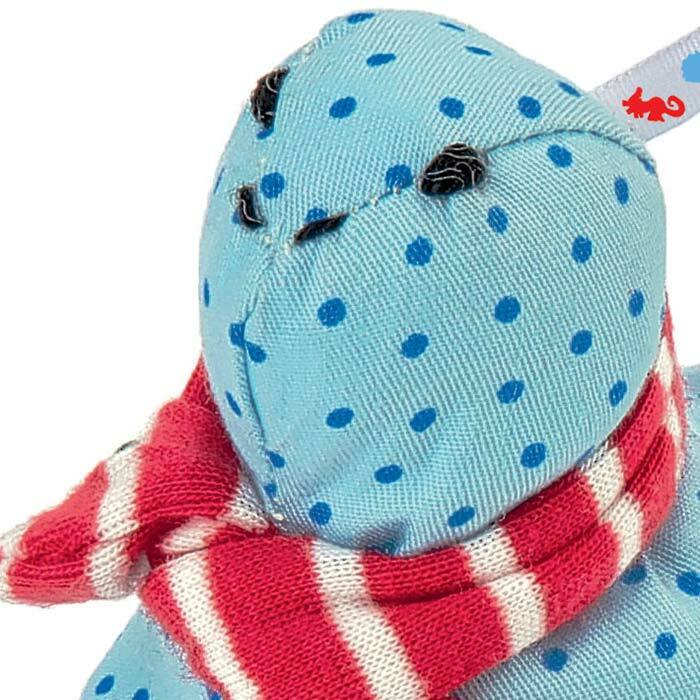 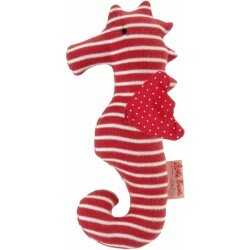 The seal wears a red striped scarf and has maritime themed ribbons for finger play.